Everything moves in cycles and often these cycles are moving between opposite extremes. Prosperity to hard times, summer to winter, happiness to sadness, law and order to times when crime gains the upper hand for a period of time. A compass needs a north and a south, a coin needs both of its sides, that is just the way that it is, so many things in this world of ours need their opposite in order to survive or provide what they do. In the pursuit of success there will be some possible temporary failure; it is only the other side of the coin and when we spin a coin repeatedly, the side of our choosing can not fail to turn up eventually. What of success? First you must start the cycle off by choosing a worthy ideal, life purpose or thing that you wish to have, be or do. This is first done in your mind. Next at some point this must become a formal goal. 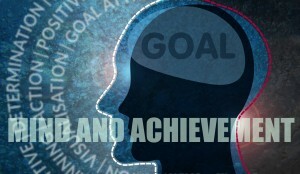 A formal goal is usually a written goal. Then apply all your powers of goal attraction by making that goal a dominant thought and taking all the decisions and action necessary to make it happen. The success cycle has then started; there will be times when your success will have to give some ground to its opposite, a set back or brief failure, but that is just the way of things. If you are persistent in your effort, positive in your attitude and have the desire to keep on going without letting up, then you will reach the high point in your own success cycle.